So how are you dealing with the summer heat? Apart from breezy clothing and comfortable footwear, your accessory collection too needs a summer update to keep you comfortable and on point. 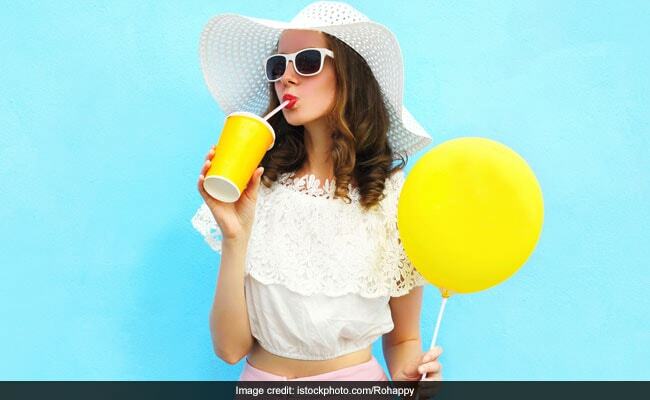 Among the list of accessories, a must-have is definitely a trendy pair of sunglasses that will not just amp up your style game but will also keep your eyes protected from the harmful UV rays. Packed with smart features to safeguard your eyes and designed to make an impression, get yourself a range of new eyewear to stay summer perfect. Give a chic style update to your accessory collection with this pair of sunglasses from Y&S. It features a trendy round frame with mirror reflector lenses for a cool look. Keep your eyes protected in these summer months by picking this cool pair of sunglasses from U.S. Crown. The chic frame is what adds an extra edge to this eyewear. Have a soft corner for animal prints? Then don't miss this standout pair of sunglasses from Fastrack that will instantly set you apart. It features a light plastic frame with gradient brown lenses. Notch up your style game in this season by picking this trendy pair of sunglasses from Younky. The sleek metallic frame gives it an interesting edge while the black round lenses will keep you protected. With 100 percent UV blocking shatterproof polycarbonate lenses, this pair of sunglasses will keep you on point in this season while prove to be the perfect eyewear to stay safe in this heat. Are you all about oversized eyewear? Then pick these sunglasses from Peter Jones to make chic style statements. It features oversized square frame with brown lenses. Love being edgy? Pick this standout pair of sunglasses from Taggy that is sure to become your favourite. Team it with summer dresses of floral tops and look picture perfect. Amp up your accessory game with these cool sunglasses. 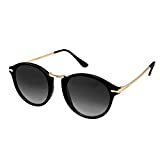 To browse more sunglasses on amazon, click here.